Celebrate Israel's 70th birthday with a weeklong party. The third annual celebration of all things Israel, #NWIsraelFest is connecting all segments of the Puget Sound Jewish community to our Jewish homeland — across generations and affiliations on the 70th anniversary of the State of Israel’s founding. Taking place April 8–22, #NWIsraelFest casts a community-wide spotlight on Israel at a special time for the Jewish state, when both solemn commemorations and a festive holiday fill the calendar. #NWIsraelFest is an opportunity to strengthen bonds of kinship and friendship with Israel by learning more about Israel’s story — its history, arts, culture, food, and global impact of innovations in medicine, technology, and environmental stewardship. The #NWIsraelFest celebration is a collaborative undertaking of the Jewish Federation of Greater Seattle and other Jewish organizations in our region. At #NWIsraelFest, “Jews from all denominations, observant and secular alike, can be part of a program and feel represented. It will provide touch points to Israel, where everyone can find something that speaks to them,” says Ariel Lapson, the Federation’s Israel, World Jewry, and scholarships program manager. #NWIsraelFest will encompass commemorations of Yom HaShoah (Holocaust Remembrance Day) and Yom HaZikaron (Israel’s Memorial Day), as well as celebrations of Yom Ha’atzmaut (Israel’s Independence Day), which this year falls on April 19. On that day, the Stroum Jewish Community Center will reprise the lively blend of storytelling, music, and visuals of the podcast Israel Story to present “Mixtape,” which explores seven decades of Israeli music and the dramas that lay behind the songs. 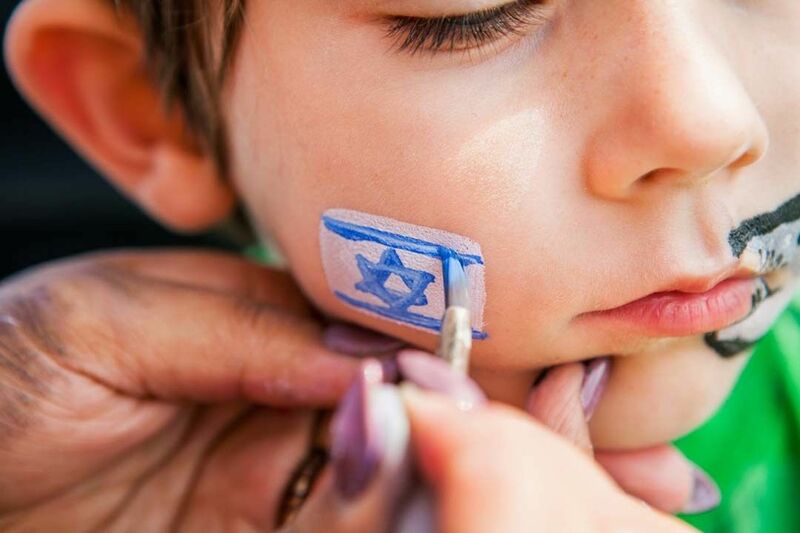 The celebrations culminate with Celebrate Israel at 70, taking place at Magnuson Park on April 22, from 2 to 6 p.m., featuring a concert, speakers, food trucks, a shuk, and children’s activities. The Federation, Stroum Jewish Community Center, and the Seattle chapter of the Israeli American Council are co-sponsoring Celebrate Israel at 70. #NWIsraelFest brings Israel’s story to the Puget Sound region’s “vibrant and diverse Jewish community,” which has large numbers of Israelis and Israeli Americans, as well as Jews born and raised in the United States, Lapson says, making #NWIsraelFest “uniquely positioned to reach out to Jews across the spectrum. By bringing people together at events, #NWIsraelFest can be a catalyst for strengthening connections to Israel through the power of personal relationships, which is especially salient for millennials with no personal memory of Israel’s founding or of the country’s early struggles,” says Lapson, a millennial whose parents emigrated from the former Soviet Union. “Millennials are looking for meaning, and meaning can be cultivated through personal connections,” she says. Lapson hopes taking part in #NWIsraelFest prompts Jews to deepen their understanding of Israel and learn more about Israel’s story, including the historical context necessary for understanding that story’s hows and whys. “My hope is that #NWIsraelFest will have something that speaks to you, that it will provide the impetus for you to take that step forward to self-educate about Israel, teach your kids about Israel, and share Israel’s story,” Lapson says.